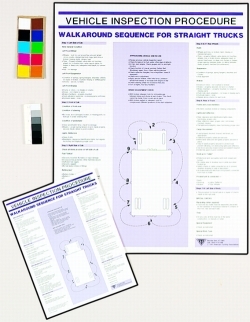 Adhesive-Backed Straight Trucks Vehicle Inspection Procedure Poster 8 1/2" W x 11" L is one of the vehicle inspection procedure posters available at DriverLogBooks. It shows drivers how to inspect a vehicle without wasted action. 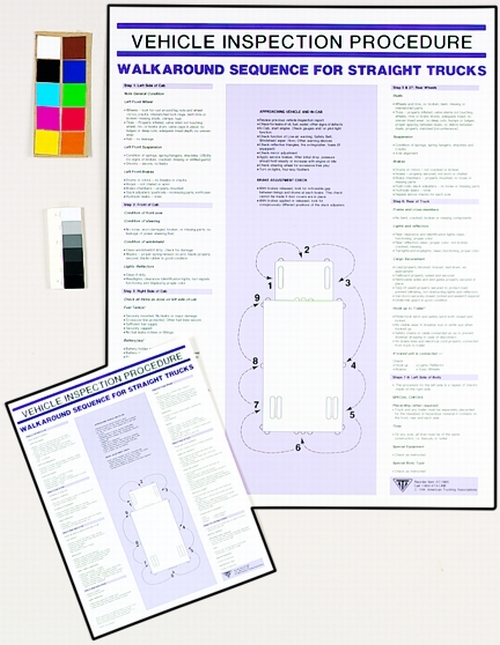 Easy-to-understand instructions tell drivers what to look for. This poster is specifically made for straight strucks.